You would think if a chemical has been shown to have links with breast cancer causation, testicular cancer or decreasing fertility, it would be banned immediately – especially from products people come into contact with every day through their work or at home? If they are produced at all in the first place, toxic chemicals should only be found on a high dusty shelf in a laboratory and in a tightly sealed bottle labelled Toxic Do Not Open! But alas this is not the case. Why, we ask ourselves? Where is the logic? Surely something that could harm our health should override profit? Not so, and we have the barrier of vested interest to thank for this continuing exposure. A recent report from the Corporate European Observatory stated that two thirds of the scientists involved in decision making on controversial and potentially harmful chemicals for use in the EU had at least one conflict of interest, that is, they had direct or indirect links with the affected industries. This, unfortunately, is not an isolated case. According to the CEO report, scientific committees whose work it is to evaluate whether a chemical or substance is safe to use or not, can be biased due to committee members being directly paid by the affected industry or by working in an institution or facility which receives funding from that industry. Sometimes the research used to make a decision on the health and safety of that chemical has been provided by the industry which manufactures the ingredient or product. When the safety of a specific ingredient is reviewed, science that has already been dismissed as not applicable cannot be re-examined. This is the case for one of the chemicals case studied in the CEO report, parabens, still widely used as preservatives in cosmetics and still linked with breast cancer. Vested interests can manifest themselves repeatedly in the regulation of chemicals especially when it comes to chemicals used as ingredients in a myriad of everyday products. An award winning report from Stéphane Horel and Brian Bienkowski,“Special report: Scientists critical of EU chemical policy have industry ties,” published by the Environmental Health News in Sept 2013 highlighted the influenced exerted by scientific journal editors over content relating to chemical safety. The report revealed that of the 18 toxicology journal editors who signed a controversial editorial, 17 have collaborated with the chemical, pharmaceutical, cosmetic, tobacco, pesticide or biotechnology industries. Some have received research funds from industry associations, while some have served as industry consultants or advisers. The stakes are high for this issue as it’s to do with efforts to regulate Endocrine Disrupting Chemicals (EDCs) in the EU, the first time ever this has been tried. The new rules will have global ramifications for the companies who produce products containing these chemicals, or use them in services they provide, so it is in their best interest to stall proceedings. Of course industry lobbying influences policy on chemicals. The stalling on the EDC legislation, due to “Industry lobbying’ has put regulation back by 3-5 years, which was entirely the intention,” according to Prof Andreas Kortenkamp quoted in the Guardian. More information on this issue can be found here on the EDC Free website. So how do we get over, around, or break through this barrier? We must demand increased transparency, safety above profits, and unbiased science advice given by unbiased advisers. The first step to overcoming a barrier is to identify that it exists, then we gain the power to overcome it. For a disease that affects so many women, both directly and indirectly, it’s fair to say that the issue of how environmental and occupational exposures impact on the disease is shockingly absent. No surprise when you realise how many ‘barriers’ stand in the way of this vital part of the story getting out – barriers that impede primary prevention, in other words, stopping the disease before its start. One of the biggest ‘barriers’ to try and clamber over is the ‘pink’ takeover of the disease – not least the way in which fundraising has become the predominant ‘pink-driven’ focus for the public. Fundraising is good – but not when it displaces other, equally vital elements of the debate. One of the key areas of our campaign, is to promote the inclusion of ‘barriers to primary prevention’ in the breast cancer debate. Once you start to get the ‘barriers’ picture, you are starting to join up the dots – and understand how the wider system effectively closes down the environmental and occupational story…There are a number of attitudes, mind-sets and misconceptions standing in the way of a primary prevention focus on breast cancer. 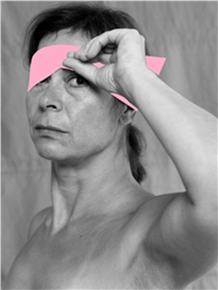 These include acceptance that breast cancer is inevitable; confusion that early detection is prevention, when it is not; a fixation on treatment and control; ignorance of the wider issue of primary prevention and the role of the media in perpetuating this, where a narrow focus on lifestyle – like a narrow focus on genetic mechanisms– obscures cancer’s environmental and occupational roots; procrastination where ‘more research’ is the standard response to calls for prevention policies; the invisibility factor, as, sadly, we cannot see many of the chemicals that are hazardous to our health; fear – fear of cancer feeds our resistance both to learning and even thinking about the disease. Finally, vested interests and the status quo – there is no profit in prevention. The disease of cancer has spawned a major world industry which, to, date has proven a major barrier to the debate about environmental and occupational links to breast cancer getting out. Combined, these barriers prove to be a powerful means by which to marginalise those who have – over decades – argued for the inclusion of environmental and occupational links to breast cancer. This needs to stop.